The objective of the programme is to provide graduate students with opportunity to enhance their knowledge in selected branch or specialty of biotechnology- an interdisciplinary field combining biological sciences and engineering technologies. In our programme, the students will have access to advanced instrumentation & techniques in modern laboratories. You will also get an opportunity to participate in seminars, workshops, expert lectures and summer trainings. Six months’ research work under the supervision of a faculty,is integral to our curriculum. You will acquire skills in developing micro-organisms and plants to clean polluted land or water, creating cleaner industrial activities by replacing chemicals with biological process, cloning & producing enzymes for use in manufacturing food & drinks, genetically modifying crops to increase productivity, etc. Students can obtain specialization in Animal Biotechnology & Cancer, Plant Biotechnology, Environmental Biotechnology & Industrial Biotechnology, or Bioprocess engineering. 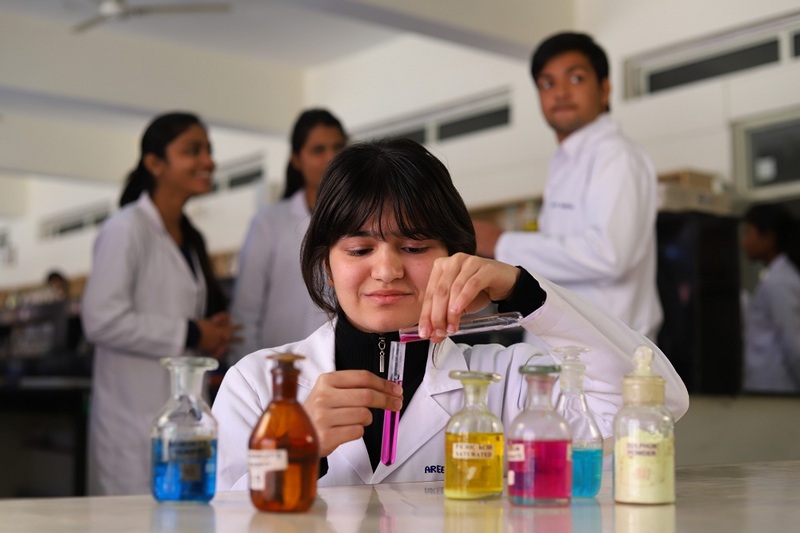 The faculty,rich in experience and training in the area of Fermentation technology & Bioprocess Engineering, Environmental Biotechnology, Plant Biotechnology, Animal Biotechnology and Cancer Biology from the premier institutions of the country, is as an added advantage. A bio-technologist may find jobs in Drug and pharmaceutical research, Public funded laboratories, Chemicals, Environment control, Waste management, Food processing, Bio-processing industries, Healthcare etc. Jobs would be available as Research Scientist, Executive - Industrial Operations, Medical Coding Professional, Scientist, Biostatistician, Food/ Industrial / Environmental Biotechnologist, Officers in Government Legal Bodies i.e. Public Health, Grant Management, Defence, etc.